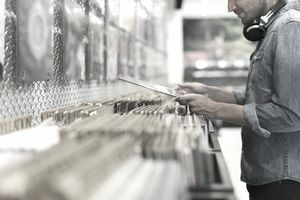 Should You Pay for Music Promotion? Should you pay for music promotion? It depends on what kind of promotion you have in mind. Are you a music public relations company running a public relations campaign, or are you looking for promotional opportunities, such as advertising, giveaways, and free media? Press or public relations, or PR companies, charge for their services, as they should. Paying for this kind of music promotion is proper. You should negotiate a price you can manage, and you should have some clearly defined goals before hiring a PR company to do this kind of work. If you can get a company to agree to have part of their payment be performance-based, all the better since it will give them an added incentive to meet the goals you have in mind. If you have a project that needs a big push, working with a music PR company can be the right investment, especially if you're short on time. But make sure you vet any PR firm before hiring them to make sure they can meet your needs. Do they have experience representing other musical acts? Bonus points if they have specific experience in your genre of music. As you would with any service you're paying for, be sure you know what you're getting before you sign any contracts. Is it OK to Work for "Exposure?" Let's consider the other promotional opportunities. Of course, you have to pay for ad space, printing costs, design costs, and other concrete services to get the word out about your music or your band. What about a label that wants you to pay to have a song on a comp? How about a company that wants you to pay to have your song included in an internet video or TV show? What about someone that wants you to pay for a showcase gig? As a general rule of thumb, you should never pay for intangible exposure. If you buy an ad in a magazine, then you know exactly what you are getting, what it will look like, what the circulation of the magazine is like and what the audience of the magazine is. When someone asks you to pay for a chance to play at a showcase gig, you have no guarantee of what you're getting. It is a less effective use of your money, no matter how much someone promises you they can put you in front of label execs. If you're interested in performing at an event where you won't be paid because you believe the exposure will be worth it in the long run, set some limits; no first-time events, for instance. Don't do any "favors" for anyone you don't know. When you are figuring out your music promotion budget, keep in mind that no legitimate company in the music business is going to ask you to pay for featuring your music on a comp or in a video or any other source. That's akin to the proverbial model photo shoot scam, where the so-called "model" is charged tons of money to take portfolio photos, only to never work again. Make sure you always understand exactly what you're getting when you're paying for your music promotion.